Say goodbye to glue, nails and all that other messy gunk. Our Stick On products are the quick and painless way to show off your stuff on the wall, in a scrapbook, or wherever else you fancy. You don’t need a hammer, DIY manual or even steady hands, just an idea and a few spare minutes. 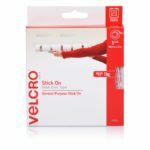 VELCRO® Brand Strips adhere well to plastic, wood, metal, poster board, cardboard, and more. The pre-cut lengths work well for small projects or testing purposes. 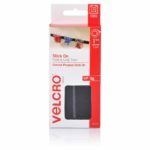 VELCRO® Brand Tape are ideal for smooth surfaces and can be used indoors or outside. Great for posters, maps, pictures, display boards, and craft projects. 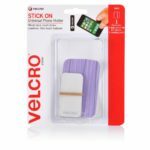 VELCRO® Brand Pre Cut Rectangles offer a convenient solution for fastening items without having to cut the tape yourself. 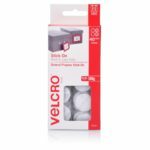 VELCRO® Brand Dots ideal for smooth surfaces and can be used indoors. Great for posters, maps, charts, display projects, and craft projects.